Well, time to catch up on a few things that went down during the season, starting with the Jim Edmonds deal. 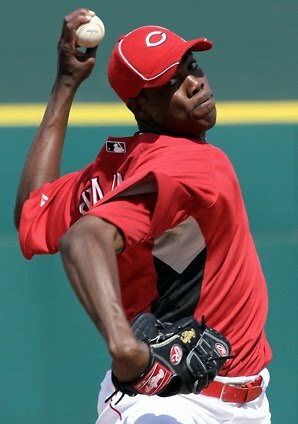 Walt Jocketty sent another jolt through Reds nation by once again staking the future on a name from the past. It worked to such great effect with Scott Rolen that he once again tried to catch lightening in a bottle, this time he turned to Jim Edmonds. And, it's hard not to think it's somewhat cool to see Jocketty target "his guys," because that's exactly what most of us would do if we were in his shoes. Unfortunately, the cost of obtaining the services of Edmonds was Chris Dickerson. As a general rule, I don't think it's wise to trade away players who provide plus defense and plus on-base skills from premier defensive positions, as they are rather rare talents. Obviously, Dickerson has yet to put it altogether, but he still has the upside that would make him a very productive, valuable player if he does. In 2010, Chris Dickerson hit a paltry .205/.222/.273/.495 mark in 20 games and 44 At Bats. However, I tend to discount his performance to a certain extent, as I suspect his wrist was bothering him early in the season. Not only was Dickerson wholly unproductive, but he was also a completely different type of hitter. His K/BB ratio was 19/1, which isn't typical of his on-base skill. Either Dusty got into his head and encouraged him to be more aggressive or he was simply hampered by injury. Given that he saw a robust 4.42 pitches per plate appearance, I suspect that Dickerson simply couldn't do enough with the pitches he saw to keep pitchers honest. If you can't put the fear of an extra base hit in the pitcher's mind, then he has no reason not to pound the strike zone. Hitters need a decent hit tool to get any value from on-base skills. Dickerson's injured wrist may have substantially limited his ability to drive the ball, which means pitchers didn't have to resort to nibbling to get him out. However, after the hamate bone procedure and during his rehab stint, Dickerson was flashing the type of production that first earned him a promotion to the majors. In 43 ABs in triple-A, Dickerson was hitting a robust .442/.528/.767/1.296. The surprising part of his slash line is the power he flashed, which isn't typical after having the hamate bone removed (see: Alonso, Yonder). In the end, Dickerson once again flashed the type of ceiling at the minor league level that makes him so intriguing, while in the same season demonstrating the type of floor at the MLB level that makes him so frustrating. Are there still possible explanations for his struggles? Yes. But, it's also entirely possible that he'll be nothing more than an AAAA type player who will age out before he can carve out an MLB career. On the other hand, Jim Edmonds was surprisingly productive at the major league level with a slash line of .281/.344/.484/.828. 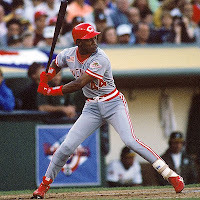 He also provided well above average defense in centerfield and could have held down any of the outfield positions and first base without much difficulty. Jocketty rightly recognized that outfield depth was a problem and that a reliable veteran bat would be a nice option in leftfield. At the time of the trade, Edmonds had a higher Win Above Replacement (WAR) mark (2.5) than our entire outfield, including Gomes (0.1), Stubbs (1.1), and Bruce (1.4). So, despite the low profile of the trade, it was a legitimate effort by Jocketty to upgrade the outfield production, especially the Gomes/Nix tandem in leftfield. In light of Dickerson's lackluster production and injury problems, Edmonds was clearly the better option for the present. Another factor weighing in favor of the trade was Dickerson's standing on the organizational depth chart. Unfortunately, Chris Dickerson probably just didn't fit into the organization's future plans in any way shape or form. Generally speaking, a prospect's window of opportunity is small and closes in a hurry. So much of a player's career is largely a function of timing. The best of the best just kick in the door, but the non-blue chip prospects have to slide through the window before it slams shut. In Dickerson's case, he simply didn't make it, which was due in no small part to the players ahead and behind him on the organizational ladder. 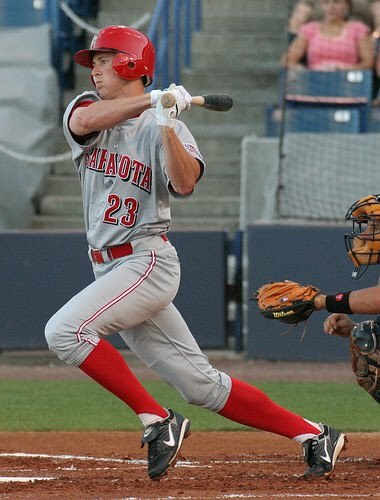 At the Major League level, Dickerson was in direct competition with Drew Stubbs and Chris Heisey. At double-A, Dave Sappelt was ripping the cover off the ball and playing elite defense. At the lower levels, you had players like Ryan LaMarre and Yorman Rodriguez. So, if Dickerson was not the centerfielder of the present, then, at age 28, he was not the centerfielder of the future, either. As a result, it's difficult to see how he fit, especially given his struggles adjusting to leftfield. To utilize his value, the Reds would have had to affirmatively act to make room for Dickerson, which is probably too big a leap of faith for the Reds to take based on the fact that he has not consistently performed at a level high enough to justify such an act. If the Reds cleared room for Dickerson and he failed to produce, then they would have altered their depth chart to accommodate what ultimately turned out to be an unproductive player. Even so, Dickerson could be the type of player that the Reds regret giving away. He has been a personal favorite of mine for a number of years now for one simple reason: he grades out highly from both a statistical and traditional scouting point of view. Statistical analysis focuses on outcomes, while traditional scouting focuses on the process. It's a means/ends type distinction. And, when a player has good baseball skills and very good baseball tools, I'm willing to give them a bit more time to try to put it altogether. Jayson Werth is another player who I have long appreciated because he grades out equally well under a statistical analysis method as he does under a traditional scouting method. I love his stats and his baseball mechanics, which made him an undervalued, sleeper candidate. I still feel like Dickerson fits a similar mold, even if he lacks Werth's baseball instincts. As for future value, it was clear that Edmonds had absolutely none. If ever there was a "win now" type move, this was it. Instead of a 28-year old player who had years of value ahead of him to benefit the organization, the Reds acquired a 40-year old player whose value completely disappears upon his retirement. As a result, Edmonds's value was always going to bleed completely out of the organization, which makes the deal a bit less palatable. As soon as the deal was consummated, the Reds committed to riding his value all the way into the ground. Given that the Reds were in a position to make the playoffs for the first time in over a decade, sacrificing some future value for potential present value was certainly a defensible and understandable decision. In hindsight, this deal likely ranks among the least consequential in all of baseball last season. Edmonds's injury made him a non-factor for the Reds and Dickerson continues to struggle to carve out a significant MLB career. In the final analysis, I liked the acquisition of Edmonds, but disliked giving up a player I still like in Chris Dickerson. In the grand scheme of things, it probably won't matter, but now that he has a fresh start it wouldn't surprise me to see Dickerson grab hold of a centerfield/leadoff hitter job and run with it in another organization. The Reds took it on the chin in Game 1 and look to get up off the mat in Game 2. Playing the role of stopper for the Redlegs will be Bronson Arroyo. For all intents and purposes, the Reds playoff livelihood is on the line tonight. If they dump Game 2, then the climb back into the series is all but insurmountable, especially with Roy Halladay lurking around the corner. Interestingly enough, Bronson Arroyo is, or at least should, be pitching for his future with the organization. The Reds hold an $11M team option on Arroyo for 2011 with a $2M buyout. The Reds also have a surfeit of starting pitching in 2011, including Cueto, Edinson, Homer, Travis Wood, Mike Leake, Aroldis Chapman, and others. Does it make sense to pay Arroyo that kind of money when you have stable of young, cost effective starters already in the mix? I would submit that it only makes sense for games like tonight. That's the role that Arroyo needs to fill to justify such a significant financial outlay. We simply don't need him to beat up on the dregs of the NL Central. No, we need him to be a veteran stopper against the elite teams. If he can do that, then he should certainly have a role on this team going forward. Tonight is a prime example of the caliber of lineup you have to face and defeat to win a championship. Unfortunately, Arroyo's current pitching profile is not that of a dominating pitcher, which could mean struggles against an offense like the Phillies. Of course, he has made a career out of proving me wrong, but from a statistical standpoint, the odds are likely against him tonight. In 2010, Arroyo has 3.88 ERA and a 1.15 WHIP, which are impressive numbers, but the component stats simply don't support his overall performance. His FIP is 4.61 and his xFIP is 4.60, so there are some legitimate questions on Arroyo. He managed to outperform his FIP and xFIP last year as well, but I'm not sure gambling big money on Arroyo continuing this level of performance is the best way to go. His strikeouts per nine has fallen for the third year (7.34 to 5.19 to 5.05) in a row and now sits at a borderline acceptable level. History shows that starting pitchers need to strikeout more than 5.0 hitters per nine in order to maintain consistent, year-in year-out success. Arroyo is trending in the wrong direction. Additionally, Arroyo had a BABIP of .246, which is probably unsustainable, even if he has managed to reduce his line drive rate to 16.3%. Additionally, all contact pitchers are getting a bit of a boost from the league wide decline in power hitting, which may or may not continue into 2011. It's largely a question of whether Arroyo can decrease his contact rate or, failing that, continue to effectively manage the type of contact that he gives up. Overall, Arroyo is a high contact pitcher facing a stacked lineup that is lefthand heavy. Add in the bandbox that is Citizens Bank and it's a tall order for Arroyo. However, if Arroyo can't get the job done, then I'm not entirely sure we can justify paying him $11M in 2011. Granted, his 200 plus innings every year are nice, but this is a team that needs to continue improving. Given it's current position on the organizational win cycle, that may well mean building a team that is structured to succeed in the playoffs. If Arroyo can't succeed in the big games against the elite lineups, then maybe it's time to turn the rotation over to the young guys and use the salary savings to acquire some high leverage relievers or a better option in leftfield. Branch Rickey once said "Trade a player a year too early rather than a year too late." Arroyo will be 34 in 2011, so the Reds will have to factor that in when they determine Arroyo's fate with the organization. The Reds need a win tonight and they are turning to Arroyo to get it. To be honest, I fully expect the Reds to bring Bronson back in 2011, but if he gets lit up tonight then I'm not so sure he deserves it. Still, I'm hoping he goes big tonight against the Phils and earns his next contract with the Reds. "He and the umpire pitched a no-hitter. He gave him every pitch. Basically we had no chance." 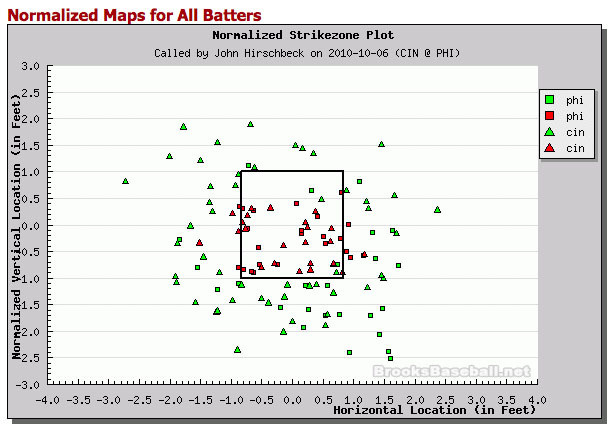 Personally, I was rather impressed by the strikezone. Several times, while facing lefthanded hitters, Ramon Hernandez set up on the outside corner only to have Edinson throw the offspeed pitch on the inside corner. Before the pitch, Hernandez shifted his body over behind the outside corner, but Hirschbeck maintained good position behind the plate, rather than shifting with Hernandez for protection. By maintaining his position behind the plate, Hirschbeck increased the odds of getting struck by a foul tip, but also ensured that he would have a proper view of both sides of the plate. Additionally, despite Hernandez having to reach all the way back over to the inside corner, which is almost a foot-and-a-half, Hirschbeck continually stayed with those pitches and called them strikes. It's not uncommon for umpires to essentially give up on a pitch that is so drastically off the catcher's target, but Hirschbeck refused to do so. To his credit, he simply called pitches in the strikezone strikes, which happens to be a large part of his job description. Anyway, as Craig Calcettera pointed out on HardballTalk, brooksbaseball.net produced the below strikezone plot from last night's game (click on it for a better, more clear view). I haven't studied a ton of these, but it looks to me like Hirschbeck was quite good last night. Every game is going to have a missed call or two, but this looks more than respectable to me, which is refreshing considering all the ammunition umpires have given to the "expand instant replay" crowd as of late. As is indicated on the graphs, these are from the Umpire's perspective, not the Pitcher's perspective. Normalized maps attempt to correct the Y-Axis on this graph by using the sz_top and sz_bot values in the PitchFX data for any individual hitter. These parameters are variable and should not be taken as gospel (or any other works of Holy Writing, including Torah or Qu'ran). These values are then scaled to 1 and -1 respectively. The outside edges of the strikezone are then drawn to specifications corresponding to an average umpire's strikezone. Non-Normalized maps simply use the actual height of each pitch as it crosses the plate. But, because of variable batter height, this may not provide a completely accurate picture of an Umpire's Strikezone in the Vertical Axis. The outside edges of the strikezone are then drawn to specifications corresponding to an average umpire's strikezone. Well, regardless of the reasons for the shellacking, the Reds need to put this one out of their minds. It'll be interesting to see if there is any hangover in Game 2 from this performance. I would imagine a fast start would help wash away any remnants of this game. Hopefully, the Reds prove to be a mentally tough and resilient ball club, but having the bizarre extra day off between Games 1 and 2 probably won't help matters. Well, that went even worse than could be expected. Beating Roy Halladay was a tall order, but to not manage even a single hit was surprisingly atrocious. Halladay is, quite simply, the best pitcher in baseball because he possesses the four skills that make a truly dominant starting pitcher. First, he possesses good command and the corresponding low walk rate. Second, he has the plus pitches to generate a high strikeout rate. Third, he induces groundballs at a high rate. Fourth, he is very efficient with his pitches. There are a select few pitchers who excel in all four areas, but Halladay is the best of them. Obviously, the headlines tomorrow will read something to the effect of "Doc Halladay Fires Bullets on the Way to History." And, justifiably so. However, if Halladay had not used the Reds like a rented mule on his ride into the sunset and history books, then the focus would justifiably have shifted to different issues. The Reds made several mistakes, the types of mistakes that you simply cannot make against the defending NL champs. In the second inning, the Reds defense misplayed two chances. They won't show up as errors in the box score, but they were plays that good teams should make. Edinson got two quick outs before walking Carlos Ruiz. Wilson Valdez then hit a groundball up the middle which was gloved by Orlando Cabrera whose momentum carried him past second base. Cabrera tried a backhanded flip to Brandon Phillips at second, but Ruiz beat the play. Cabrera went to second, but it's hard to see why he didn't try to throw out Valdez at first. His momentum was heading that direction and a quick pivot would have put him in good throwing position. Maybe he thought Ruiz would be the slower runner and easier target, but replays show that he had the better shot at Valdez. If Cabrera makes that play, then the inning ends without any runs scoring. He didn't, so the inning continued. The next hitter was Roy Halladay who hit a soft liner to leftfield. I don't think there is any question that even a decent defensive outfielder makes the play on that ball. Jonny Gomes did not make the play, which allowed a run to score and opened the door to two more in the inning. Of course, a top of the rotation starter like Edinson should never allow the opposing pitcher to do damage with the bat, but Edinson only got 2 swings-and-misses in his outing. Allowing Halladay to drive the ball to the outfield to plate a run was a mistake on Edinson's part. So, that's yet another mistake on the ledger. The final mistake came during the 6th inning when Logan Ondrusek airmailed first base on a routine groundball. In many respects, Ondrusek's error was the most forgivable, as it was merely a physical mistake, which is bound to happen to everyone who plays the game. Cabrera's mistake was the result of a poor decision, the mistake on Gomes was actually the organization relying heavily on him in leftfield, and Edinson's mistake was either the result of poor execution, a poor plan of attack, or both. Given the sheer dominance of Halladay, these miscues don't really matter, but going forward these types of mistakes will significantly reduce the Reds' chances of success. And, when facing the defending NL champs and arguably the best team in all of baseball, these types of mistakes simply don't cut it. The more I watch and think about the game, the more I have come to think of individual plays or events as fractional wins. Each and every event in a baseball game plays some role in the outcome of the game. The more plays a team successfully completes, the more fractional wins it picks up. The more fractional wins a team compiles, the greater the probability of victory. The Reds simply can't afford to drop fractional wins all over the diamond for the Phillies to simply scoop up at their leisure. As they showed tonight, the Phillies can be a truly dominant team, so the Reds can't afford to give the Phillies extra outs in Game 2 when, hopefully, the Phillies come back to earth and aren't quite so dominant. It's a short series, so the Reds need to get up off the mat in a hurry, but it won't get any easier with noted Red-Killer Roy Oswalt taking the mound. Hopefully, Bronson Arroyo's high contact approach will somehow, some way translate into success in a bandbox against a lineup heavy with lefthanded hitters. Well, first pitch is just around the corner, so I'll keep this short and sweet. First impression of the match-up against the Phillies: ugh. Obviously, the Phils are cream of the NL crop, so any of the other options would have been preferable. Given that the Giants finished at 92-70, while the Reds finished at 91-71, you could argue that the Reds decision to rest the entire starting lineup against a very weak Astro team was shortsighted. Featuring a triple-A caliber lineup, the Reds couldn't push across a single run against the Astros, ultimately losing 2-0. Still, the Reds managed to go 4-2 in the final week, so it's tough to be TOO critical. Still, it would have been nice to push past the Giants to earn the right to face the Braves, instead of the Phillies. But, we now have to play the hand we've been dealt. Unfortunately, the Phillies are currently holding 3 aces, which complicates things for the Redlegs. Roy Halladay, Roy Oswalt, and Cole Hamels loom large, especially in such a short series. The Phils won't have to use a 4th starter, so the Reds will see nothing but this elite troika. Obviously, a big key to the series will be the Reds ability to get into the Phillies bullpen. While the high leverage relievers, Brad Lidge and Ryan Madson have been good this year, the bullpen is obviously the soft underbelly of the Phillies. This is especially true of the middle relievers. However, to get to the bullpen, the Reds have to either drive the troika from the mound or grind away ABs until their pitch count gets too high. Unfortunately, the Reds simply don't have the type of relentless, grinding type hitters to force these pitchers to really work. I've long been a fan of late-count hitters and this is a prime example of where disciplined, patient hitters are invaluable. Given their inability to really grind ABs, the Reds lineup will likely have to scratch out some runs against the Philly starters, especially a strike-thrower like Halladay. For me, the key player for the Reds in Game 1 will be Drew Stubbs. Joey Votto and Jay Bruce have had successful seasons and are big keys to the Reds production against righthander Roy Halladay. However, the Reds will need some production from their complimentary players and Stubbs seems a likely candidate. Stubbs hit a robust .311/.406/.578 in September, so he's bring a white hot bat to Philly. Additionally, Stubbs has the type of secondary skills that could loom large in a low scoring battle. Stubbs has game changing speed and defensive abilities, which could pay huge dividends in high leverage situations for the Reds. Whether it's stealing a key base to get into scoring position or cutting off a ball in the gap to prevent extra bases, Stubbs could be a real asset in a game where a single play could make the difference. A player who could play a huge role in this entire series is Aroldis Chapman, as the Phillies are a somewhat lefthanded heavy lineup, so having a 105 mph southpaw coming out of the pen could be a big deciding factor. The last time the Reds won a World Series it was on the back of the Nasty Boys, hopeful they can rekindle some of that nastiness with the presence of Chapman. If Chapman can find the strikezone, then he may be able to shutdown down the big swinging Phils in high leverage situations. If the Reds starting pitchers can keep the games close (admittedly, a fairly large if), then the performances of Chapman and Stubbs in high leverage situations may be the key to the Reds' chances for success in this series. Anyway, first pitch is just about here, so time to get settled in. That is one damn, BIG number. 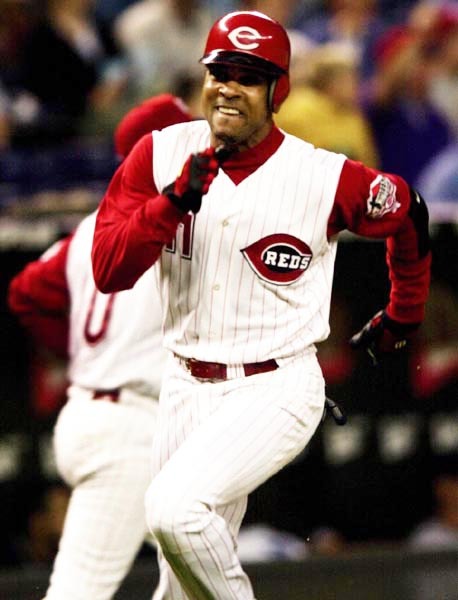 And, it's one with which Reds fans are intimately familiar, even if they don't immediately recognize it, as they have lived and died with that number. Hard as it is to believe, 2,433 is the number of games the Reds have played between the playoff appearances. Since their unceremonious 1995 postseason exit against the Atlanta Braves, the Reds have played an almost unthinkable 2,433 games! Who could have known that getting swept out of the playoffs by the Braves would mark the beginning of a 15-year playoff drought? Who could have known as we watched in agony as the Braves starting pitchers exposed Reggie Sanders in ways previously unfathomable (10 strikeouts in 16 ABs in the series), that THOSE would be the good old days? Between postseason appearances, Reds fans have witnessed 1,172 wins, 1,259 losses, and 2 games ending in a tie. They have borne witness to 6 different managers (Ray Knight, Jack McKeon, Bob Boone, Dave Miley, Jerry Narron, and Dusty Baker), 6 different scouting directors (Julian Mock, DeJon Watson, Kasey McKeon, Leland Maddox, Terry Reynolds, and Chris Buckley), 5 different general managers (Jim Bowden, interim tandem Brad Kullman/Leland Maddox, Dan O'Brien, Wayne Krivsky, and Walt Jocketty), 3 different ownership groups (Marge Schott, Carl Lindner, and Robert Castellini), and 2 different ballparks. Fans have also borne witness to the triumphant return and depressing departure of Eric Davis. They have witnessed the passing of the career of one of the best shortstops in history without a return to the postseason. Ken Griffey Jr. arrived to much fanfare and departed with laments over what might (or even should) have been. Seemingly the entire Boone family has come and gone through the organization since our last taste of postseason glory. Countless careers have begun, while countless others have ended. Fan favorites fought the good fight, but ultimately lost the battle to the march of time before ever reaching the top of the mountain. During the drought, the organization evolved from an organizational philosophy of spending practically nothing on scouting/player development, choosing instead to plow all the money into the MLB roster, to the more cost effective philosophy of developing homegrown talent through shrewd drafting and aggressive international signings. Maybe the massive future cost that Marge Schott shifted onto the backs of future incarnations of Reds teams with her decision to not invest in scouting has finally been paid in full. Maybe we finally have the right people in the right jobs. Or, maybe the Reds are just benefiting from baseball's version of the Infinite Monkey Theorem, bringing in enough different combinations of players, front office personnel, and owners to finally peck out a baseball masterpiece. Whatever the reason, we have finally emerged from the darkness and into the light. As the Reds square off with the defending National League champs today, it seems important to be mindful of, and reflect on, the organization's history, if for no other reason than to remind us not to take any of it for granted. I started this blog back in 2007 and after 329 posts, I most definitely hit the wall, which is why I've been on hiatus for the past month or so. Even working through the last prospect write-ups got to be something of a grind, but now I'm back because there's no way I'm missing out on a Red October. Nothing refreshes the baseball spirit like a postseason season appearance, so hopefully my writer's block is gone. Regardless, I have lived and died with the Reds through the 15-year and 2,433 game drought, as a result I have emerged on the other end a much wiser fan. I now know enough to enjoy it while it lasts, because it isn't guaranteed to come around again anytime soon. So, wear Red with pride today and lift your voices up in unison to support the hometown nine, but never forget to take time to smell the freshly cut grass.